This is a gem that is well worth to drive south for. 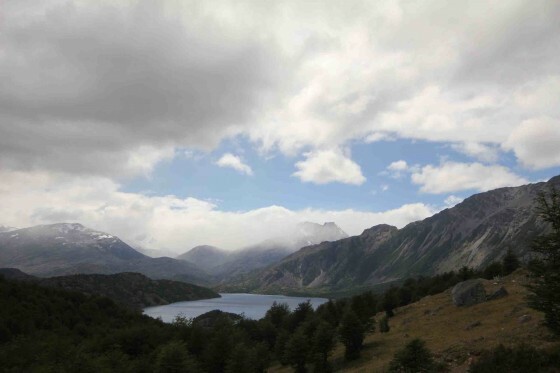 About half an hour before you get to Villa O`higgins you will cross the river on your way on the Carretera Austral. 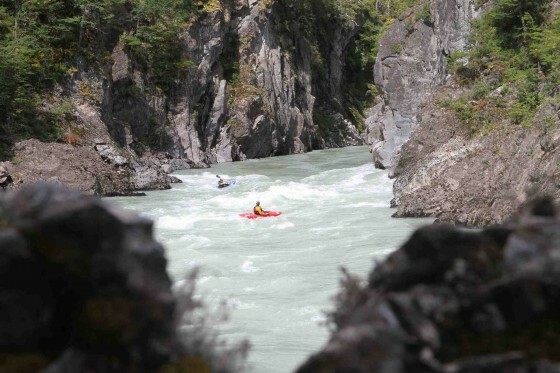 Rio Mayer flows lazily under the roadbridge, but just upstream awaits the adventures. When driving towards Villa O´higgins take the first left after the bridge, this puts you on route to the put-in. Put in for a 20 pluss km run above the Ranch “Margarita”. 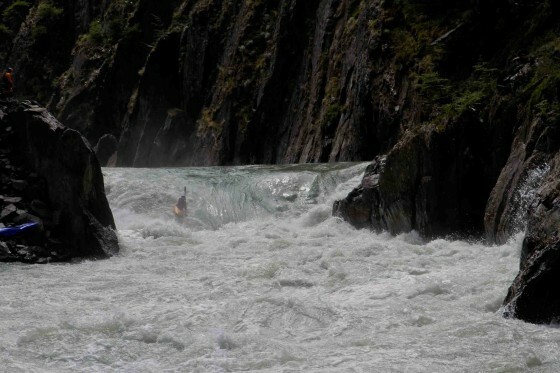 Ron Fischer (SUI) had scouted this one on the web, and concluded that it would have some whitewater, but not too much. We hence put on with the thought of completing the run easily in an afternoon. 3 days later we stood at take-out! 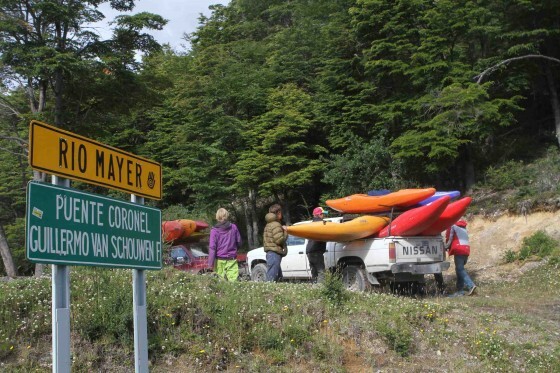 There are two main canyons in the Rio Mayer. The first one starts off with easy rapids, class three, in a beautiful gorge with amazing rock formations. The actions picks up at the end with a river wide hole you have to punch right, or portage right, then some easier rapids till you get to a super nice class four which you can scout on river left. The first hole claimed a swim from Jakub Sedivy and a rodeo ride from Max Siecht, while Ron and myself got away with our runs. The Rio Mayer is big volume paddling, and sure has some push to it, but this first canyon is all nice and managable. From here the canyon opens up and you will float a few kms, thinking that the action might be over. But, this is where the canyon closes in again, and you are in for some serious navigation/bushing/portaging depending on the river level. The first few rapids are nice class three, then the main obstacle presents itself with a massive hole that is not paddleable (though the Swissies did almost think so), and you can not portage at river level. At least not with the levels we had in January 2011. The next 3 kms is a serious canyon, where scouting and portaging can be an issue. Due to the levels we hiked around this whole section, on river right, and dropped back into the last two rapids of the canyon. Class four and fun, the river then mellows out a bit, runs through another class four big volume gorge that all goes, and that provided some excellent surfspots, before ending at take-out. The whole misson can be done in a day if you start early, but it is better to prepare for a two-day and take your time as the scenery is breathtaking, pristine and remote. On river left before the serious canyon number two you can hike out to the road if needed, there is somewhat of a trail, and it takes about 40 minutes if you don´t get lost. Nice one! Looks like a fun trip and a good crew.